Partners | Cyton Biosciences Ltd.
Cyton’s expertise in product development and European regulatory affairs is extended by our network of global sister companies and strategic partners. Read more below and find out just how far our network of experts can take your company. 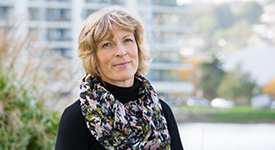 After 12 years in the Committee for Veterinary Medicines (CVMP) under the European Medicines Agency, including 6 years as Chairperson, Anja Holm has decided to use her expertise in a new way as an independent consultant. Her mission is to help the Animal Health Industry provide good and effective Veterinary Medicines for the benefit of animals, vets and owners. Receive robust guidance and help in Oral Explanations, Referrals, Scientific Advice, List of Questions, PSURs, etc. VRM provides international veterinary clinical research expertise to manage and coordinate your drug development and registration projects, pharmaceutical or biological. The VRM team designs, manages, & delivers veterinary development projects for global pharmaceutical clients. Need to place a programme of studies or find expertise? VRM will help. VRM will work synergistically with your team to accelerate your veterinary medicine to registration and launch by optimizing the use of internal and external expertise and facilities. VRM is directly affiliated to two global leaders in the conduct of veterinary clinical research trials in the northern and southern hemispheres, enabling year-round conduct of seasonal studies. VRM will partner with you before, during and after the registration of your product, providing technical solutions to ensure successful commercialisation. Cyton’s strategic alliance with Steve Houghton, Veterinary Vaccines Consultancy (VVC) means that Cyton offers a comprehensive service for all vaccines, immunologicals and biologicals. VVC’s expertise in development and manufacture complements Cyton’s technical and regulatory experts to provide one team for all product development and regulatory projects. Our experience covers major species (e.g. dogs, cats, cattle, sheep, pigs, poultry and salmon) and minor species (e.g. horses, rabbits, fish and foxes) and a diversity of product types: live attenuated viral vaccines, live attenuated bacterial vaccines, inactivated viral vaccines, multivalent vaccines, GMO / DNA vaccines, immunosera and in vivo diagnostics. Compilation of full technical sections for phased reviews: CMC, Safety & Efficacy, DMF, etc.